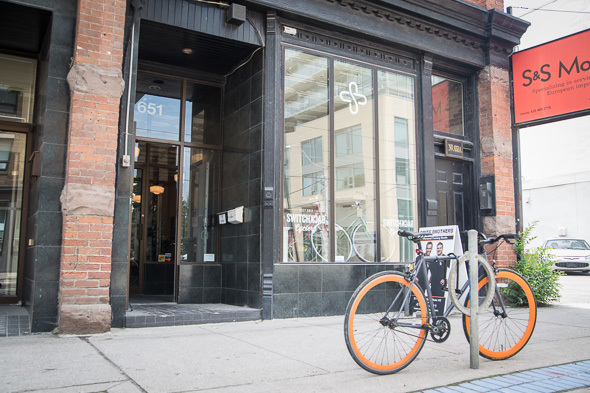 Switchback Cyclery is a bike shop in Riverside near Queen St. E. and Broadview, and they give back to the community in more ways than just hooking it up with bikes. 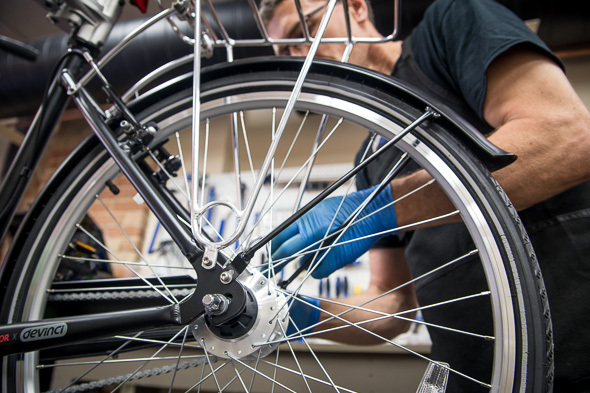 Switchback is run by the Toronto Enterprise Fund (TEF), which, in this case, helps individuals who may otherwise have had difficulty finding a job. 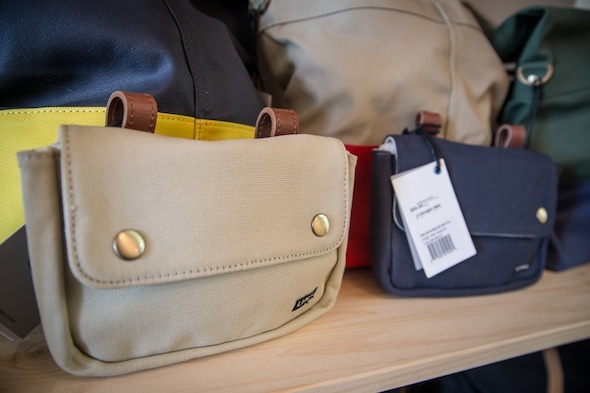 Aside from that admirable participation in social enterprise, though, Switchback Cyclery also provides everything a cyclist would be looking for if he or she wandered in, aside from firm and commendable ethics. 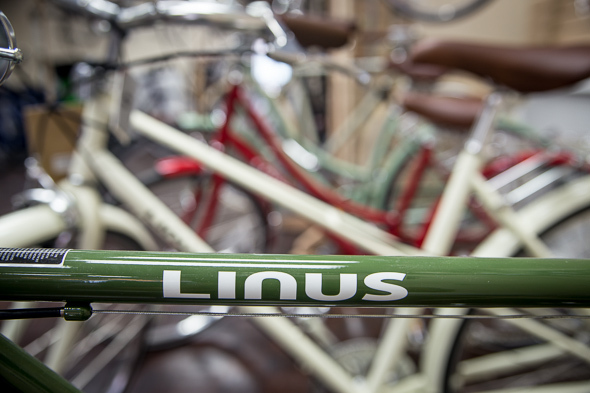 Brand new, shiny and mostly lightweight bicycles line the walls, ranging in brand from Huffy to Devinci, Linus, All-city, Brodie and Fuji. Cynthia Leung, one of the managers, tells me they want to focus on the commuter and sell urban bikes that are practical, and that allow you to effectively grab your groceries, too. (Being an accessories girl, I can't help but gawk at the selection of cute baskets available for just that purpose). 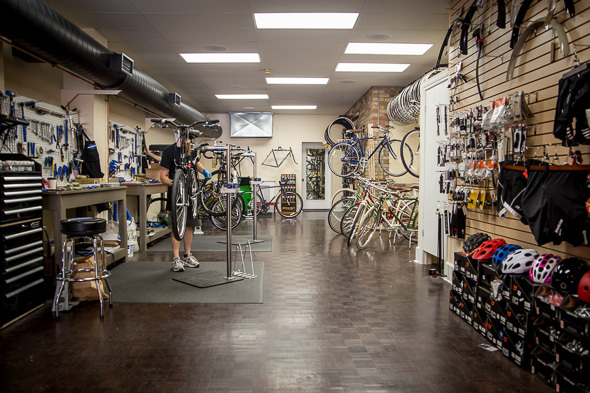 That said, anyone looking for a mid-range road bike or a touring bike would be in luck here. 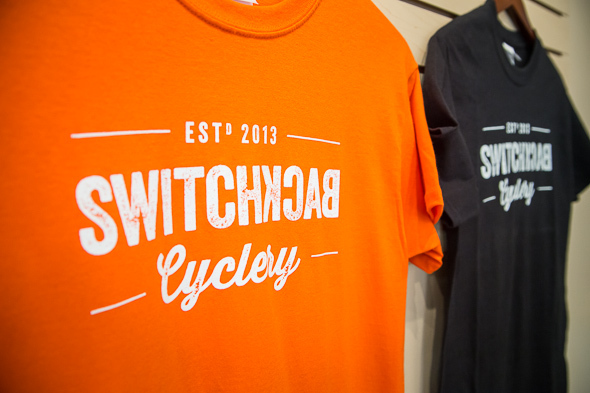 Switchback doesn't sell used bikes, but Cyn said they help find a home for any donations and other homeless bikes that come their way. New bikes, she says, start at about $500. As many bike shops will say, she reminded me that they want to sell a good quality product, and not one that you could get at Canadian Tire for $100. In terms of services, the shop does everything from a basic cheack up to determine the overall health of the bike 910 to 15 minutes, free!) to more elaborate repairs. After that, though, it was impossible to get them to divulge the cost of a tuneup, since it would differ so widely based on the amount of work needed. As I said, I believe accessories make everything better, and bikes are no exception. Switchback Cyclery has tons of cute baskets made out of wire and wicker, not to mention preciously utilitarian saddle-bags and mini bags for your handlebars. Your bike will be the cutest one at the park if you pop in here. And, of course, they have your standard garments for the rider: gloves, shorts, and shop tees, if you feel like reppin, are on sale for $5. Riverside's latest social-purpose enterprise is currently open from 9 a.m. until 6 p.m. throughout the week, and from 9 a.m. until 6 p.m. on Saturday. As it gets the show fully on the road, though, hours will expand from 7 am. until 7 p.m. throughout the week. The shop will remain closed on Sundays.